Great news! Mojang listened to the requests of the players! 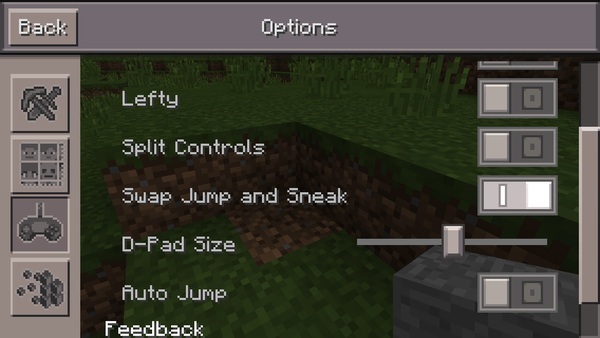 Added the ability to change the buttons of jump and sneak. Earlier control buttons were made very uncomfortable. Well, now we can easily to change the position of these buttons. To someone will be convenient to press on the left jump button and sneak and someone on the contrary. One of the developers said that the game requires a normal optimization for weak devices, and it takes time. So probably, the new version will be released in mid-August 2015! Time Control mod for Minecraft PE 0.10.4With this mod you will be able to control the timing of the game Minecraft using normal hours. Create the game clock as shown in the picture below and you will be able to slow down time.